A staircase is an obvious must have for a multi-story home, but incorporating it with a few architectural elements can turn it into a truly elegant focal point of your home. When you build a custom home you can create curved staircases, extra-wide staircases, and staircases with custom balusters and spindles. You can also add windows or skylights to stairwells to illuminate the space. Incorporating subtle elements into your new Iowa home can make any room look larger without compromising a sense of inviting warmth. 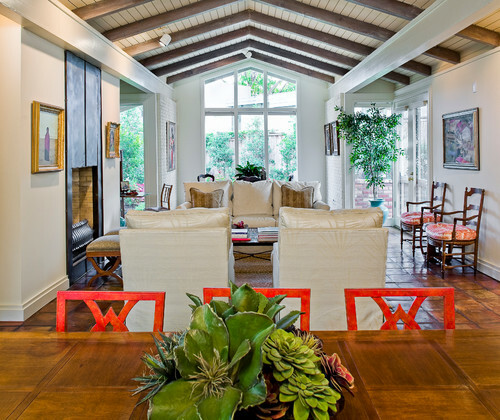 Cross beams in an accent or complimentary color make a ceiling pop and also provide the illusion of a larger space. Even simple architectural elements can transform your home. Add decorative posts to create an optical separation in the room, while ceiling and floor molding are a simple way to add elegance to living rooms, dining rooms and dens. 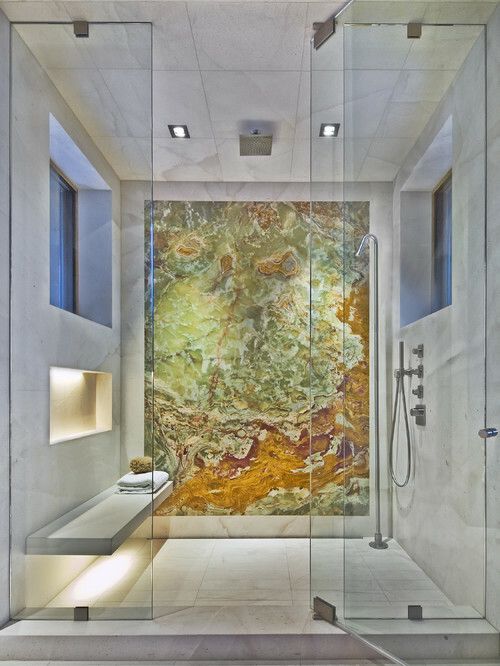 Take a plain wall in a bathroom, kitchen or entryway and create a work of art through dazzling marble, mosaic tiles or an embedded wood design. You can also include lighted art niches throughout your new Iowa home to showcase your personal art collection. When Building a custom home, don’t forget to incorporate architectural elements outside as well. Slate and stone walls, an elegant fire pit with a built in seating area and lavish water elements will not only add beauty to the surrounding, but also seating and automatic conversation pieces when you’re entertaining. Architectural accents offer endless possibilities for customizing your new Iowa home. Contact us and schedule a consultation to discover how we can enhance your new custom home by incorporating the beauty architectural accents.